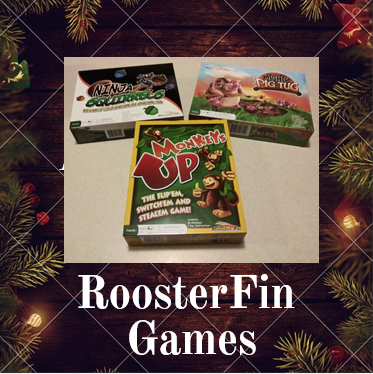 If you're looking for the latest up and coming toys that are sure to be a hit this holiday season then read ahead! This year's hot trends surrounding toys include some twists on old favorites, as well as some amazing STEM inspired toys to keep kids learning and engaged! Let's also not leave out the fact that there are some brand new toys and games that were so interesting they had to make this list! 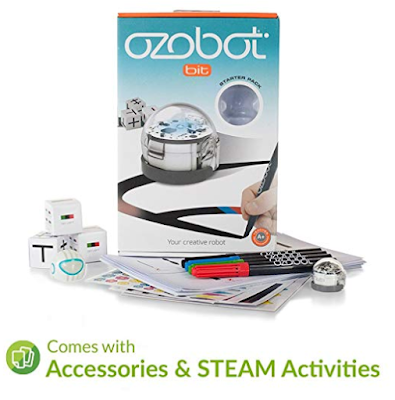 A great pick for kids 6+, the Ozobot is one of this year's hottest STEM toys! Aimed at beginner coding, your child can start off with simple coding using code markers and stickers. From there they can advance to programming with the use of a computer or tablet. 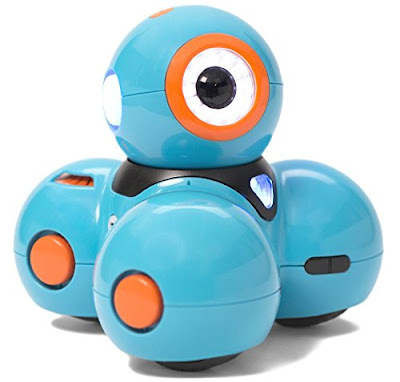 Another hot STEM toy aimed at children ages 6+, the Wonder Workshop Dash Coding Robot is not only a fun learning toy, it's currently used in over 20,000 schools! This coding robot responds to your voice, sings, dances, and can navigate objects. The Wonder Workshop Dash Coding Robot works with 5 different free mobile apps and offers your child hundreds of challenges, projects, and puzzles. As an old favorite brought back new and improved, the Teddy Ruxpin Storytime Bear is sure to be a hit this holiday season! 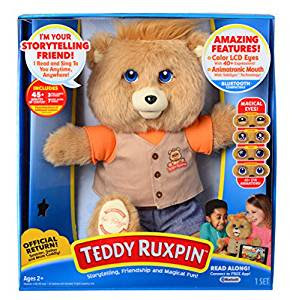 Featuring LCD eyes and an animatronic mouth, your child can enjoy reading and singing along with Teddy Ruxpin with or without the free accompanying mobile app. Teddy Ruxpin comes with 3 free stories and your child will love the touch sensor features of this bear that allow your child to control the stories! Baby Alive is back with their Sweet Spoonfuls Doll for children ages 3+. This doll comes with an outfit, blender, 2 packages of powdered food, a spoon, bottle, instructions, and a comb. Your child will enjoy feeding baby alive by mixing her food with some water in the provided hand crank blender. After feeding your child can give Baby Alive a bottle, change her diaper, and comb her hair! 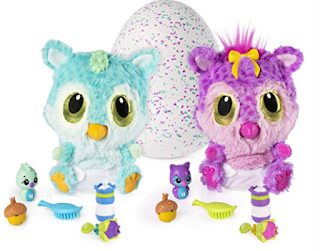 Remember the last holiday Hatchimals craze? Well prepare yourself because one of the hottest toys this holiday season will once again involve Hatchimals, with their new Hatchibabies! Your child will love being surprised as the gender of their Hatchimal is kept secret until hatching. Each one comes with their own accessories and an official Hatchibirth birth certificate. Your child can feed, tickle, burp, and cuddle their Hatchimal baby and watch them respond with interactive features. 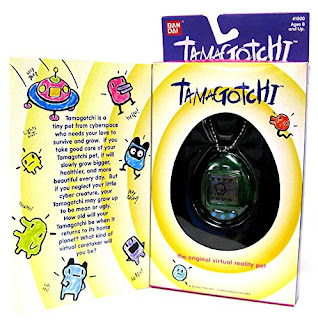 Another hot toy of the past making a comeback this holiday season is the Tamagotchi Interactive Pet! Your child will enjoy caring for their Tamagotchi by hatching, feeding, playing with, and taking care of their very own virtual pet! Recommended for children ages 5+. 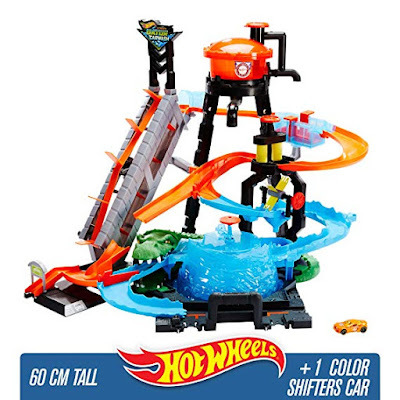 If you have a child that loves Hot Wheels then you're going to want to check out the Hot Wheels Ultimate Gator Car Wash! Kids can enjoy sending their Hot Wheels through this large scale car wash that features rollers, brushes, color changing features, and gator's jaws to avoid! With the ability to respond with over 35 sound and motion combinations, the furReal Munchin' Rex responds to your child's actions. 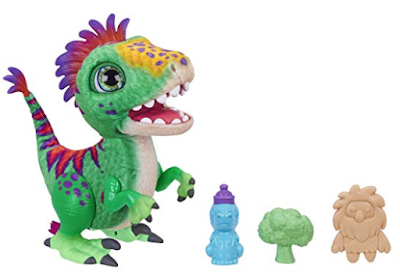 Feed this Rex his bottle, broccoli, or treat and he may respond with "yummy" as he chomps his food, or he may spit his food out and say "yucky"! Recommended for ages 4+. If your child is an animal lover you will definitely want to check out Scruff-A-Luvs! First comes the surprise if your child is going to get a dog, cat, or rabbit Scruff-A-Luvs. 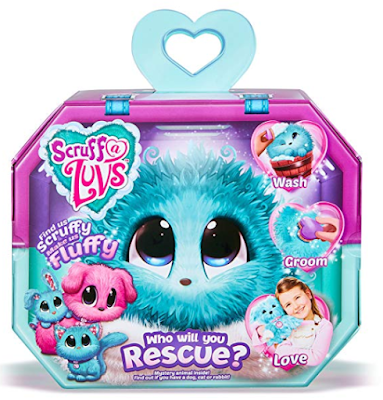 Next, your child can wash and groom their rescue pet, turning them from scruffy to fluffy! Comes with its own adoption certificate, brush, hair clip, and collar. 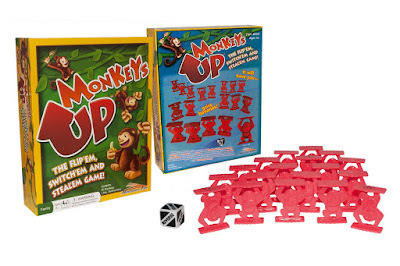 In the game Monkeys Up, players compete by switching, flipping, and stealing monkeys to gain the highest score! Each monkey has a hidden value under their feet that can only be revealed when flipped. This game is for ages 6+ and can be played with 1-6 players. Buy Monkeys Up here. Learning color matching and enhancing motor skills are all part of this family fun game! The goal is to race to gather acorns to fill your den before winter comes. To gather acorns players have to flip and match colors. Recommended for ages 7+ and for 1-4 players. Buy Ninja Squirrels here. Brace yourself for the championship event of the year, pig tug of war! Pigs of all sizes come together to test their strength in an all out competition. Players must build their best 3 pig team, but beware, as your pigs may get pulled in the mud! 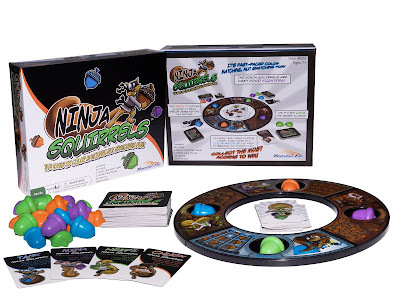 This game teaches logic and is recommended for ages 7+ and can be played with 2-6 players. 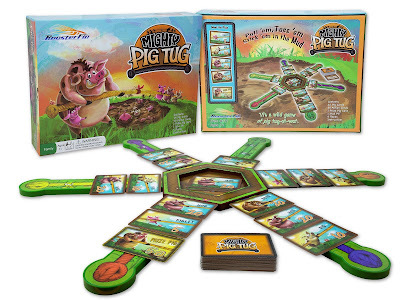 Buy Mighty Pig Tug here. Remember the popularity behind the original Pie Face game? 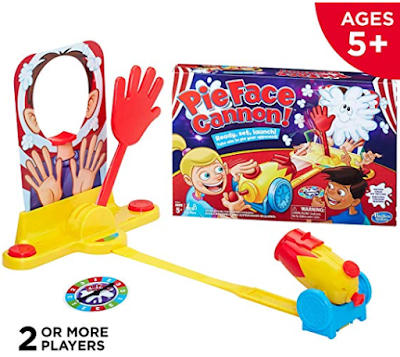 Well Pie Face is back and better than ever just in time for the 2018 holiday season with the new Pie Face Cannon! The point of this game is to avoid being pie-faced by the whipped cream cannon. Whipped cream not included. Recommended for kids ages 5+. 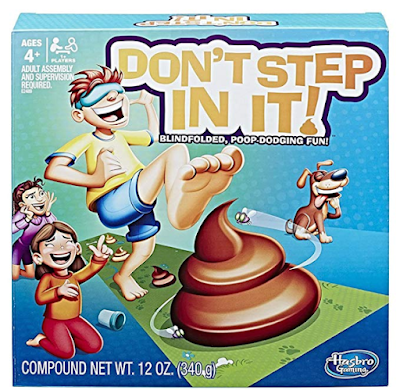 Rumored to be one of the hottest holiday board games, Don't Step In It features a game mat with strategically placed poop that players must avoid stepping in. Sure to be a fun game for the whole family! Recommended for ages 4+. To see the full list of Hot Holiday Toys of 2018 - Click Here!